The scent of victory. The triumphant hero has returned! Darker, sexier and stronger than ever. His newfound intensity is both invincible and irresistible. More than ever he represents the ultimate symbol of perfection and desire. 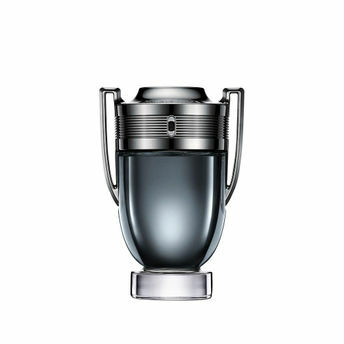 This new fragrance from Paco Rabanne, Invictus Intense, has a much darker, sexier and stronger scent. Fresh orange blossom and bay leaf are electrified by hot black pepper and smoothed by amber, for an intoxicating result. Explore the entire range of Perfumes (EDT & EDP) available on Nykaa. Shop more Paco Rabanne products here.You can browse through the complete world of Paco Rabanne Perfumes (EDT & EDP) .Alternatively, you can also find many more products from the Paco Rabanne Invictus Intense Eau de Parfum range.